Melissa Archer has joined the cast of NBC's Days of our Lives. The One Life to Live vet has already reported for work and will first air this fall. One Life to Live favorite Melissa Archer (ex-Natalie Buchanan) has joined the cast of Days of our Lives in a newly created role. A DAYS rep confirms Archer's addition, first reported by Soap Opera Digest. The Dallas, Texas, native made her daytime debut as One Life to Live's Natalie Buchanan in July 2001. She remained with the show through its 2012 series finale on ABC and later reprised the role for Prospect Park's online reboot in 2013. 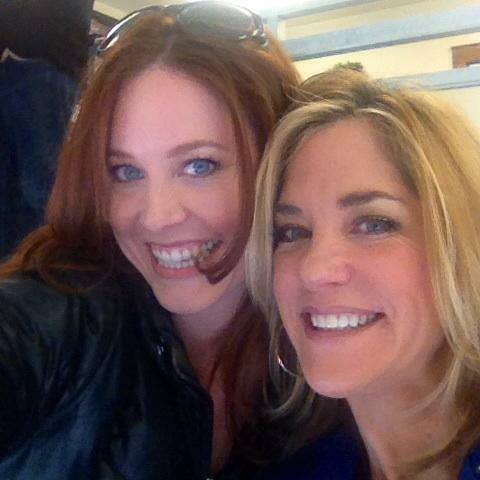 In joining DAYS, Archer will reunite with her former OLTL costar Kassie DePaiva (Eve Donovan; ex-Blair Cramer, OLTL), who posted an Instagram photo of their reunion. Archer has already been taping scenes, and she will first air later this fall. NBC has not yet released Archer's first airdate -- but TVLine's Matt Webb Mitovich has revealed that Archer will first appear on Friday, December 5, an that she will be playing a character will be named "Serena." Do you have any thoughts on who Melissa Archer's character might interact with -- or maybe a storyline you'd want to see? Tell us in the Comments area below, or you can also click here to submit feedback.